Character - Apprentice. Points: 8. Health: 7. 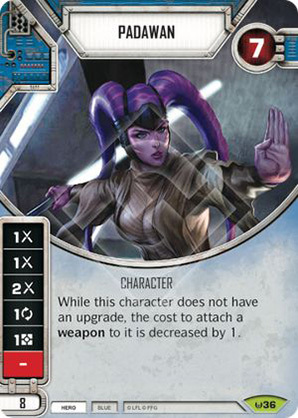 While this character does not have an upgrade, the cost to attach a weapon to it is decreased by 1.